Via Feng Shui, use the 5 elements of wood, fire, earth, metal and water to help you achieve comfortable and reassuring conditions in your home and place of business. Through the use of this 3,000 year old Chinese philosophy, Rosemary KimBal can guide you to better manifest the chi, the life force, that flows around you and your environment. 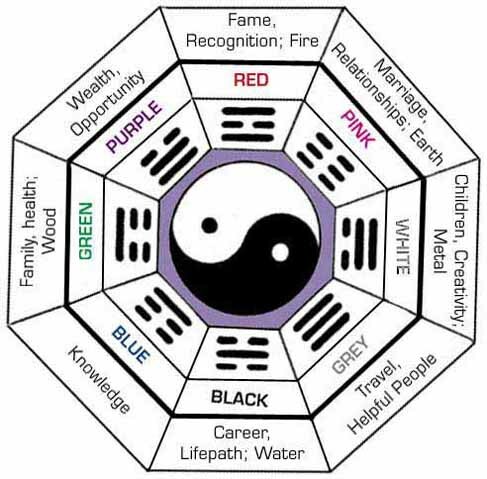 By applying the principles of Feng Shui you can enhance your health, career, relationships and other aspects of your life. Rosemary KimBal is a certified Feng Shui Practitioner. Learn to live with harmony and balance. Clear out the clutter around you and keep only what you love. Find out what is holding you back from experiencing life to its fullest. Effect Aesthetic and Transcendental cures for your home or office. Consultations in your home or business. $125 per hour. One hour per 1000 square feet. 1 1/2 hour minimum. Rosemary is proud to have received her certification from Sifu Gordon Sproul of the "Wind and Water Feng Shui School."